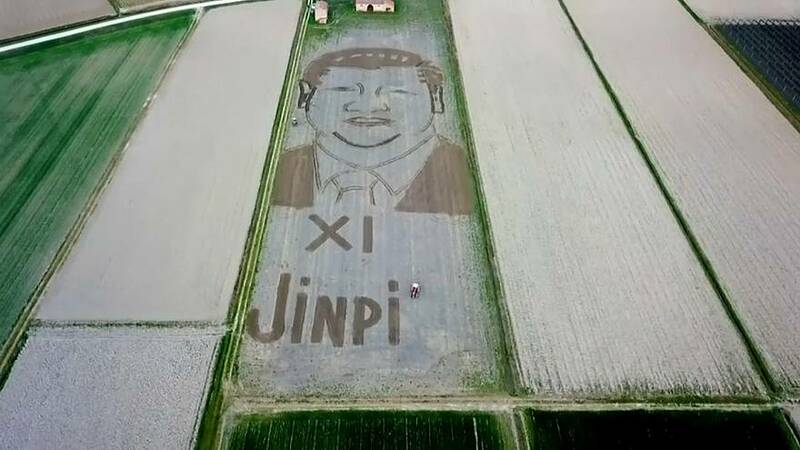 Days before the arrival of the Xi Jinping, a land artist has used his tractor to plough out a huge portrait of the Chinese president in a field in northern Italy. Xi Jinping's smiling face has emerged from 20,000 square metres (yards) of land in Castagnaro, near Verona. It took Dario Gambarin eight hours with his tractor to complete the work and he said he is hoping the Chinese leader will have a chance to fly over his field and see it. Gambarin often chooses topical figures for his tractor art, which he creates freestyle in his cornfield without a pattern.